Our team values our mission statement and we have all gone through the One Life process ourselves. We truly do practice what we preach, and we are confident that what we are creating is valuable to our clients. maintenance stages of the planning relationship. Amy has been committed to making a difference in the financial services industry for 10 years. Amy started her career with a firm where she developed into a para-planner and customer service specialist. Amy joined One Life in 2015 and played a critical role in forming One Life Financial Group’s Registered Investment Advisory firm. 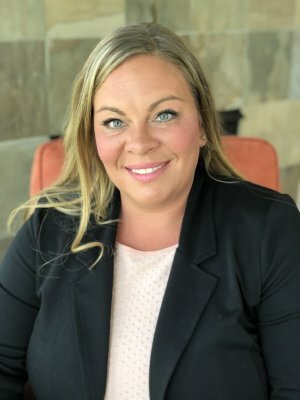 Amy is wholeheartedly committed to One Life’s mission of connecting peoples dreams with their means and believes that One Life’s process can truly change lives. Amy and her husband Ryan have two beautiful daughters, Aubree and Ashlynn. They live for summer months and the idyllic outdoor activities that define summer in Minnesota. Whether stationed by the grill, or laughing around a bonfire, Amy is happiest when she’s hosting friends and family. Amy passionately supports the Cystic Fibrosis Foundation. She regularly volunteers at their events throughout the year and pours her heart into fundraising efforts in search for a cure.